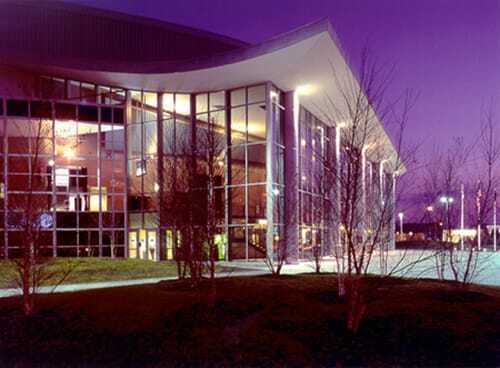 Encompassing a prominent downtown block in Manchester, this state-of-the-art arena provides a venue for multiple users and is home to the American Hockey League’s Manchester Monarchs team. 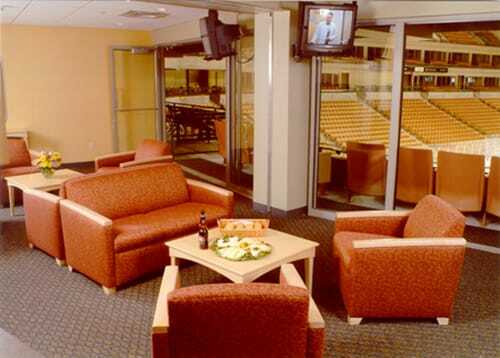 The Verizon Wireless Arena is a multi-use public assembly building capable of hosting a variety of events ranging from professional hockey games to collegiate and high school events, concerts, stage shows, circuses and conventions. 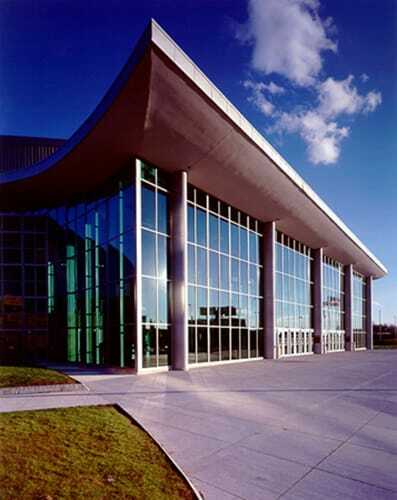 This 230,000 square foot civic center has 9,250 seats as well as the capability of using a combination of fixed and non-fixed seating systems allowing for several different seating configurations depending on the event. 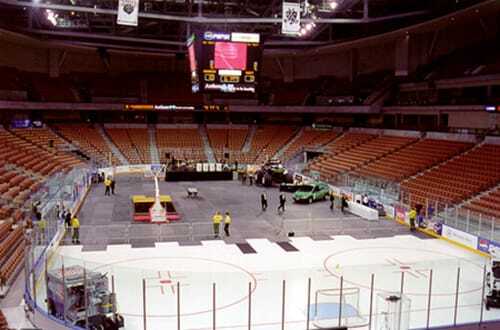 It houses retractable and floor level seating to increase the seating capacity to 10,000 for a hockey game, 10,500 for basketball games and 11,000 for end stage concerts. The Verizon Wireless Arena was a key component in the City of Manchester’s downtown redevelopment plan depending on both public and private funds to finance this $44 million project. With a targeted 20% anticipated from private capitalization, the income generated from luxury suites and other contractually obligated revenues would be used to obtain this goal. To demonstrate their strong community support and commitment to the building of this Manchester arena, companies bought all the luxury boxes within 12 days. The massive ice rink floor’s cooling system consists of 11 miles of 1.25” steel pipes distributed in serpentine pattern requiring 2,600 welds. And two dedicated chillers deliver the 240-ton cooling capacity required to maintain the ice floor.